Microsoft used to release a new version of Windows every three years or so. With Windows 10, that pace has quickened, with new Windows 10 feature updates arriving every six months. 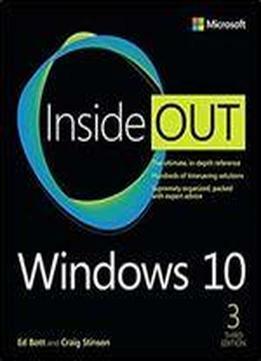 That’s why, less than three years after the initial release of Windows 10 Inside Out, we’re working on an all-new Third Edition for 2019. Windows 10 Inside Out, 3rd Edition will include coverage of a long list of new and improved features released in 2018, including the all-new Timeline feature and major changes in Microsoft Edge.